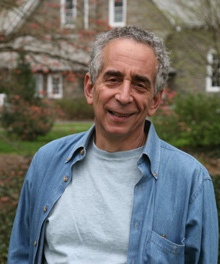 This week’s research hero is prof. Barry Schwartz of Swarthmore College. Prof. Schwartz received his PhD from University of Pennsylvania and his research addresses morality, decision making, and reasoning. He has published a number of books, among other the praised “Paradox of Choice”. He is also active in publishing in scientific journals and editorials in the New York Times where he applies research in psychology to current events. I wish someone had told me at the beginning of my career…To take more math. I spent my undergraduate days taking every psych course there was. Then I twiddled my thumbs in grad school while other students caught up. I should have done lots more math. I most admire academically… I won’t mention names, but the people I most admire academically are people who are willing to be wrong in public. Everyone seems to think that the worst thing you can do is be wrong. I think the worst thing you can do is be trivial. This is reflected in journal submission reviews, tenure reviews and grant reviews. It’s a pity. People willing to make mistakes in public are the people who really move the field forward. The worst research project I have worked on during my career… I did a whole bunch of pretty trivial things in my days working from within the Skinnerian worldview. Happily, they were pretty trivial even at the time, so no one was led on wild goose chases. The most amazing or memorable experience when I was doing research….In my paper on “maximizing” (JPSP, 2002), we did a study of the ultimatum game that I thought had no chance of working. It worked! It was quite clever, borrowing a methodology developed by Marcel Zeelenberg and Jane Beatty. Alas, this is a part of the paper that nobody writes about. The one story I always wanted to tell but never had a chance…Well, I have told this story. I taught a course in “motivation” almost 40 years ago. I gave everyone a B and they knew this on day 1. There was still a midterm, a final and a term paper, all of them graded, but people got a B no matter what. This was designed to have students scrutinize their own motives in being students. For the first five weeks, everything was great. But then midterms in other courses rolled around, students in my course fell behind, and they never caught up, growing increasingly embarrassed as the semester wore on. I think I ended up with three (quite good) papers in a class of 40. It was not a successful experiment. If I wasn’t doing this, I would be… Well, I’d be a writer. In the last 25 years, what I have found most satisfying, by far, is writing books (and the occasional article) for non-professional audiences. My aim is to make the mysterious world of psychological research comprehensible and to show readers why it matters. I’ve written four such books thus far and plan to start a fifth this summer. 1. Too much data. I think it would be good to declare a moratorium on new data until we understand the data we already have. Five years, let’s say (I told you I’d be iconoclastic). 2. Far too much worship of neuroscience. 3. People whose education is far too specialized and who then perpetuate this specialization in the students they train. 4. An incentive structure for success that is close to a disaster. It’s all about having publication lists as long as your arms and about publishing papers that are “flawless.” As long as this persists, all the concern about “p-hacking” in the world will not induce people to do research that matters and do it honestly and openly. My advice for young researchers at the start of their career is…Take lots of math, be willing to make mistakes in public, and work on things that matter. I certainly can’t guarantee that this will lead to a successful career. But if it does, it will be a career worth having.